With an aging population that continues to grow, our health care system will be changed forever. Are we ready for it? According to the Global Health and Aging report presented by the World Health Organization (WHO), “The number of people aged 65 or older is projected to grow from an estimated 524 million in 2010 to nearly 1.5 billion in 2050, with most of the increase in developing countries.” In addition, by 2050, the number of people 65 years or older is expected to significantly outnumber children younger than 5 years of age (Figure 11). This leads to the question: what are the implications of the aging population on health care? We have all heard the term “baby boomer.” According to the Office of Disease Prevention and Health Promotion, the first Baby Boomers (those born between 1946 and 1964) turned 65 in 2011.2 By 2030, it is projected that more than 60% of this generation will be managing more than 1 chronic condition. Managing these chronic conditions, along with a patient’s level of disability, will increase the financial demands on our health care system.3 The cost increases with the number of chronic conditions being treated, taking into account the expected twice as many hospital admissions and physician visits for Baby Boomers by 20303 (Figure 23). According to the WHO report, some believe that as life expectancy increases, the prevalence of disability will decrease because the progress we make in medicine will slow disease progression from chronic disease to disability. As a result, there will be a decrease in severe disability, but there will be increases in milder chronic diseases.1 Other researchers, however, believe that as life expectancy increases, the prevalence of disability will increase. There are certain health conditions that are expected to be a challenge to our health care system with the increasing aging population. These conditions include cancer, dementia, increase in the number of falls, obesity, and diabetes. 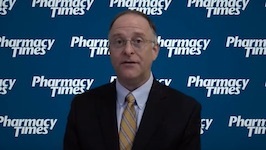 What Do Changes in the Population Mean for Pharmacy Care?